NOTE: The inquire button will be disabled until you complete the anti-spam verification. Unlike traditional retailers, we do not stock our showrooms with dozens of stones and settings. Instead, our private showroom experience is individually tailored. 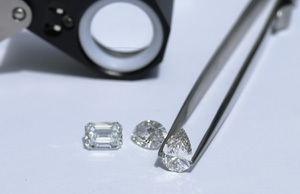 We bring in specific diamonds to show our clients and custom make every ring to order. This ensures an efficient and cost-effective buying process. As such, we kindly request our clients begin their journey with our virtual concierge process at least two business days prior to visiting us in person. Our private buying experience is intimate and secure. Please limit your party to no more than 3 people.